It's fair to be critical of Hollywood for the sheer amount of reboots and remakes that are being released because the lack of original storytelling is without a doubt an indication that the business side of things takes precedence over creating unique art. Funding a 3D spectacle from a known property feels safe, a way to guarantee ticket sales, but as a result these pictures usually aren't able to move us as strongly because, besides the occasional alteration to mix things up a bit, we know exactly what is coming. It might feel lazy and disappointing, to basically only target fans of an original picture from long ago seeking a warm bath of nostalgia rather than trying to invoke something unexpected and powerful from an audience, but I try to keep an open mind and find other reasons to appreciate the modern retelling of a classic tale. The new live action (although a vast majority of the film is animated) version of Rudyard Kipling's The Jungle Book is a prime example of exactly this. A movie that from start to finish sitting in that theater I essentially knew nothing would surprise me, and yet I found a way to be smitten with the journey despite this. 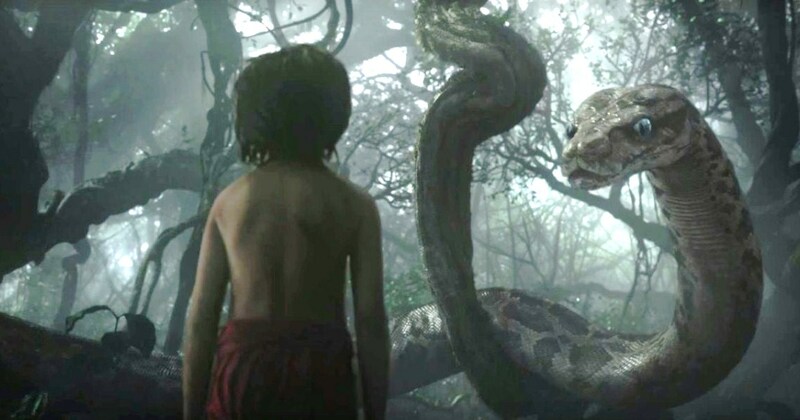 Thanks to glorious visual effects that allow talking wildlife to feel impossibly realistic, along with spot on vocal casting across the board, The Jungle Book is the type of film that transcends the flaw of being familiar because it delivers the magic of cinema in other ways. 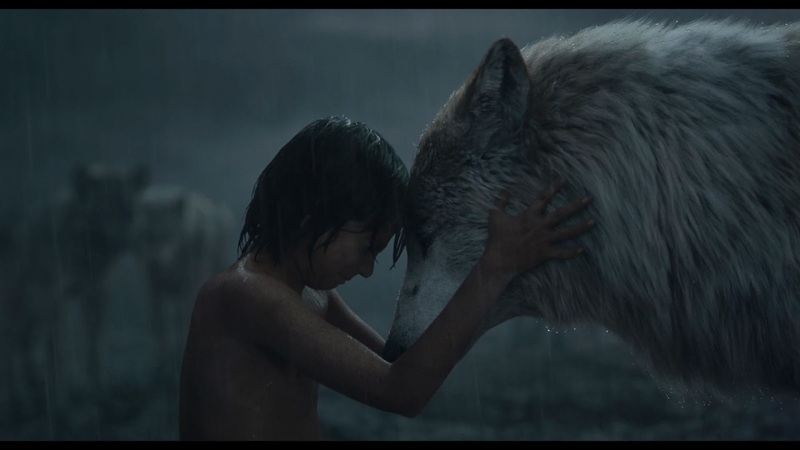 The young boy whom plays Mowgli is a totally fresh faced young man named Neel Sethi, and all things considered I think he did a pretty terrific job. I know some have been critical of his performance and that feels totally unfair to me, starting with the general notion of insulting the acting chops of a child as just feeling wrong. This takes me back to the Jake Lloyd situation in Star Wars: Episode I - The Phantom Menace, when he won the hugely important role as a young Anakin Skywalker despite being clearly wrong for it given the end result. Many were cruel then and continue to be now, which I always thought was strange because it seems to me if you are going to point the finger at anyone, I would start with the film's director and whomever else is in charge of casting before I get to the 10 year old whom was deemed worthy. For someone so young making his feature length debut, I expected far less from Neel than what he was able to deliver, especially when you add in that besides tiny glimpses here and there, he is the only human being to appear throughout the entire movie. 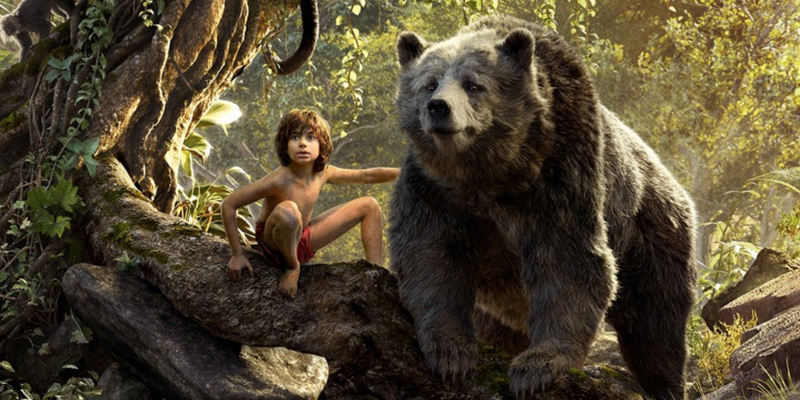 Mowgli is front and center in this big budget remake and I'm pleased as punch with the end result. The rest of the cast is made up of top notch talent lending their voices only, and goodness, the decision makers that assembled this crew deserve all sorts of credit. Ben Kingsley as Bagheera, Idris Elba as Shere Khan, Lupita Nyong'o as Raksha, Giancarlo Esposito as Akela, Christopher Walker as King Louie, and a sublimely selected Scarlett Johansson as Kaa. Her voice is not only perfect for the part but the utilization of surround sound to make an audience sitting in the theater feel exactly what Mowgli is going through in that moment is a brilliant touch. The disorienting confusion of the unknown blending in with the intoxicating appeal of her voice. I didn't even mention Bill Murray yet as Baloo, the essential addition of light comedic relief to infuse the charm and warmth needed to appropriately tell this story. Rather than feeling weighed down by a been there, done that negative energy that could have easily shrouded this experience, I was too busy gleefully admiring the performances. Director Jon Favreau has not assembled a perfect track record to this point (hooray Iron Man, boo Iron Man 2), but he confidently delivers a cinematic experience that many were never asking for. That's the thing about remakes, on a studio level the choices feel uninspired, the idea of a bunch of suits tossing cash at retreads and avoiding originality like the plague, but for those actually tasked with crafting the film it is almost more challenging. Sounds silly I'm sure, because to write based on what is already written and visualize what has already been seen screams safe and easy compared to starting from scratch and molding from nothing but imagination, but making people fall in love with something all over again takes a lot of work. Favreau and writer Justin Marks were crucial in this process of course, but I think the photography of Bill Pope, the production design by Christopher Glass and Abhjeet Mazumder and the casting by Sarah Finn are the factors that I mostly have to thank for just how much I enjoyed this film. Like I said, it's fair to be critical of Hollywood, but the formula won't be changing anytime soon. Remakes and reboots will continue to litter the release schedule year after year, and we all have a choice: completely ignore them or give each film an honest chance and hope to be moved despite the limitations of redundant storytelling. At least as of right now, I will choose the latter. The Jungle Book encapsulates why. I really liked this movie, and Neel Sethi was okay. I thought he was a little blatant at the beginning, but by the end of the film I thought of him as Mowgli. So, in my mind his acting grew while shooting. I will check that out Cody, thanks for the link, and yeah, I mean for sure the kid was rough around the edges at times but I think the problem with some are expectations being misguided. It's a feature debut from a child who is the only human in the film. Considering this, it could have been a LOT worse. CHEF!!! The biggest compliment I think I can give that movie, in addition to the great father/son story, is that it made me so damn hungry for a Cuban sandwich. I was googling Cuban restaurants right when the movie was over. haha I haven't seen Chef, but now I am curious about the appeal of these Cuban sandwiches in the film. Then go to Caribbean Corner by the Main Street train station in DG. Yum.